Welcome Tourism Members - Current and Future! 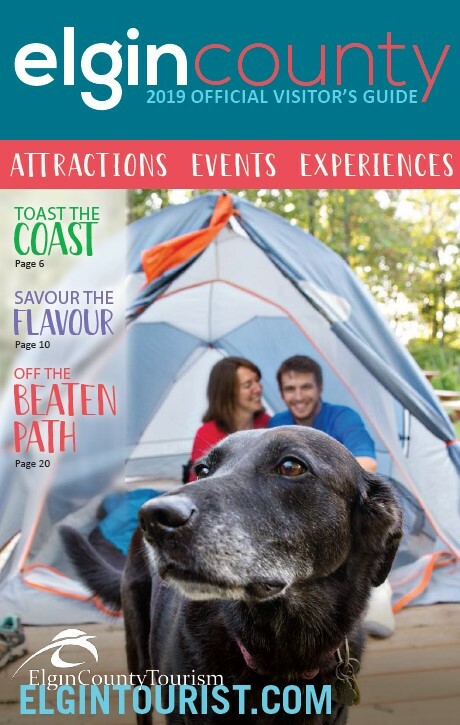 There are numerous benefits to becoming a member of Elgin County Tourism. Learn about member benefits, the Festival and Event Partnership Program, Tourism Signage, and much more! Tourism is one of the fastest growing sectors in Elgin County. Elgin County Economic Development & Tourism is committed to developing a sustainable long-term strategy to promote the tourism industry in the region. The more people that join, the more power there will be to promote Elgin County. Better promotion means more tourism dollars coming into Elgin County, benefiting all local businesses. Applications for the 2019 Festival and Event Partnership Program are now CLOSED for 2019. Increase the amount of money that visitors spend. The FEPP funding will not be limited to a predetermined number of festivals or events or amount per festival or event. Click here to download the 2019 FEPP guidelines and application. The County of Elgin's Department of Economic Development and Engineering Services jointly administer and implement the Elgin tourism directional signage program. Applications are now CLOSED for 2018. All applications must be received by the County Department of Economic Development by November 1st of each year. All applications received by November 1st will be installed in May of the following calendar year. Launched in 2010, the Ontario By Bike (link this to website -www.ontariobybike.ca) Network is currently active in 27 regions across Ontario and has seen over 1,350 attendees registered for 47 workshops. The Ontario By Bike Network has certified over 800 businesses and locations under the following categories: accommodations, food service providers, tourist attractions, campgrounds and other bicycle-related businesses. Certification is free for all businesses. With a growing presence of Ontario By Bike-certified businesses already participating across the province, tourism businesses located in the counties of Elgin, Middlesex, and Oxford are now able to join a growing provincial network, with the ability to connect with an increasing number of cycle tourists and local cyclists across Ontario. Listings on the Ontario By Bike website, which helps cyclists when they are researching their trips to find bike friendly destinations. Location and category pinpoint on the Ontario By Bike Network on-line map. Regional profiles on the Ontario By Bike website, with information and links to trail and route planning maps and resources. Ontario By Bike Decals highlighting participation as a part of network. Inclusion in group promotions at events hosting our Ontario Cycle Tourism Information booth. Access to promotional opportunities developed by the Ontario By Bike Network and/or partners, designed exclusively for Network participants. Information on additional marketing opportunities targeting the cycle tourism market. Promotion by being a part of a larger network in the region, and across Ontario. By joining the Ontario By Bike Network, your business will have access the benefits listed above and to a growing cycle tourism market. Click here to visit the regional page with cycling information for consumers and cyclists.